Children can relieve the suffering of others. a culture of empathy and compassion in your family. 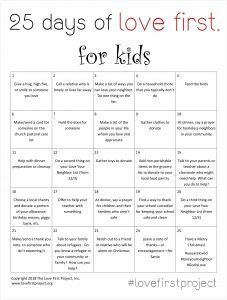 Love First is providing you with a FREE printable 25 days of Love First (for kids). Share it, print it, do it. Make this Advent season one that fosters love at the core of what we do. Don’t worry, we aren’t leaving the adults out. 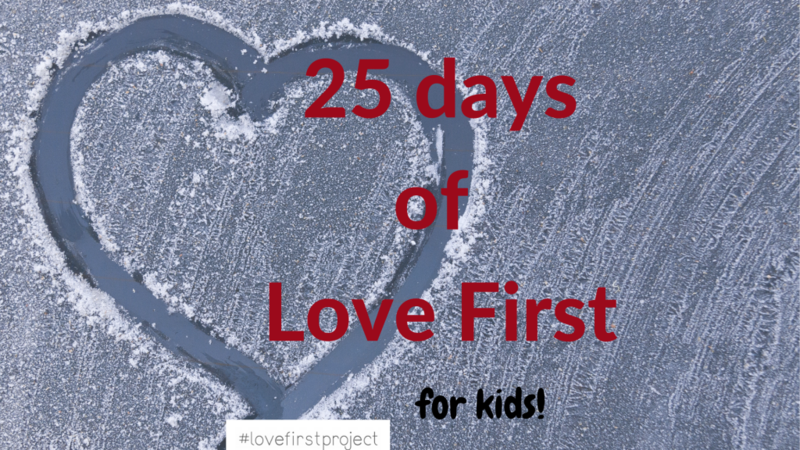 Follow us on Facebook or Instagram, as we post “25 days of Love First, for adults” over the next 25 days!